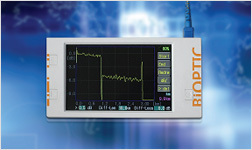 Hand held units are meters to meet many testing applications the BOPM-2000 Fiber Optic Power Meters have calibrarted Wavelengths at 850, 1310, 1490, 1550 nm. 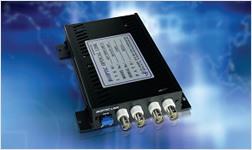 along with attenuation(relative power)as dB. 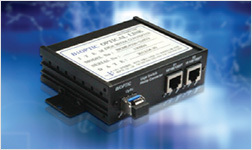 BiOPTIC’ s Video Link Converts Video Signal from camera video signal transmits up to 120 km. 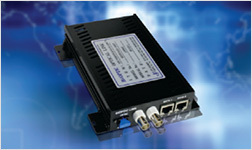 Multi-channel can be transmitted via on core of fiber line only. 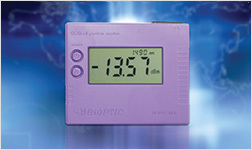 BiOPTIC's Video & Data Link converts video signals from camera and RS-232/422/485 data signals and transmits up to 120km. 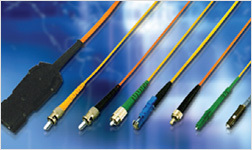 so various comvinations of signals and Multi-Channels can be transmitted via one core of fiber line only.